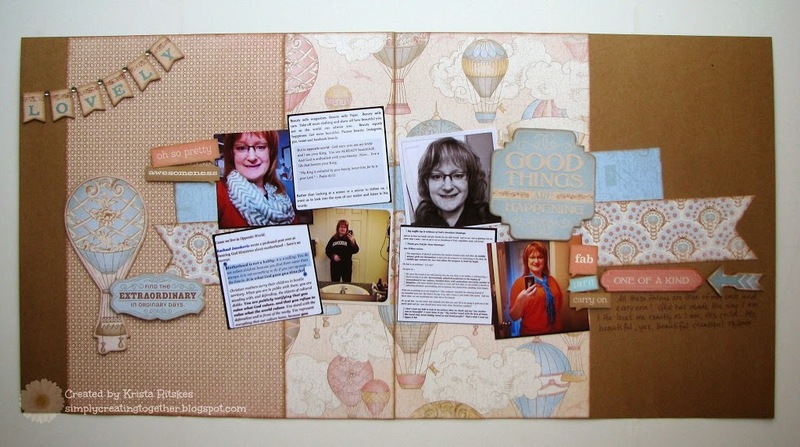 Hello and welcome to another SOTM Blog Hop! I’m doing a happy dance today because Spring has FINALLY arrived here in Ontario. The robins are hopping around, the Canadian geese are honking, the sun is warm and I put my kids in their rubber boots today! 🙂 Knowing that some of my readers are still digging out of a big snow storm makes me feel that much more grateful for our weather. I am blessed to live where I do. On to our hop. If you arrived from Lalia’s blog, you’re on the right track. If you’re starting here, just keep hopping through until you get back here. 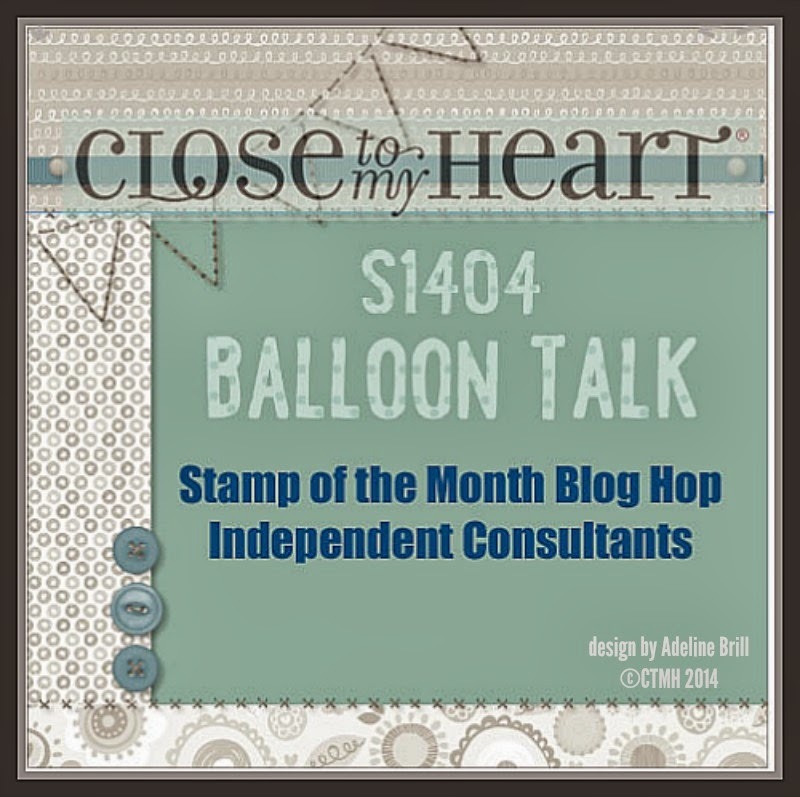 We are highlighting the super fun Balloon Talk stamp set. I went really introspective with this layout. 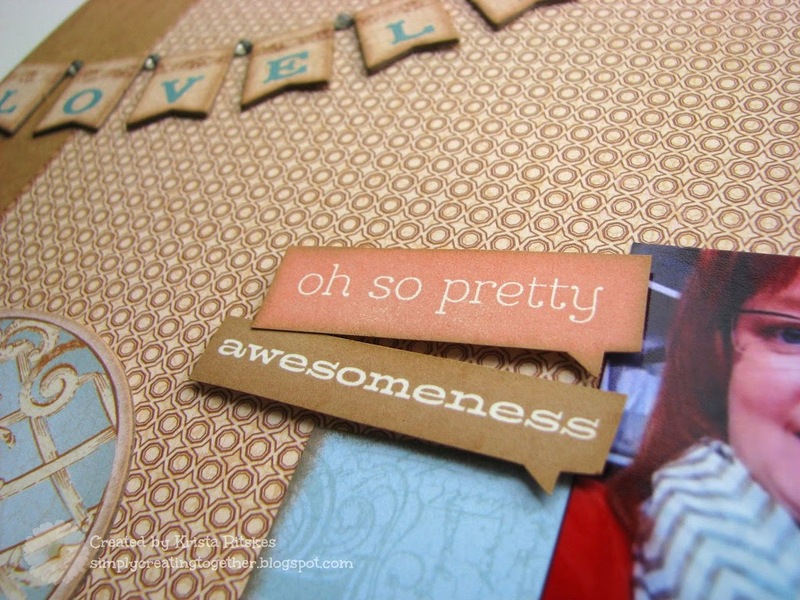 I loved some of the wonderfully encouraging sentiments in this set, so I started there. 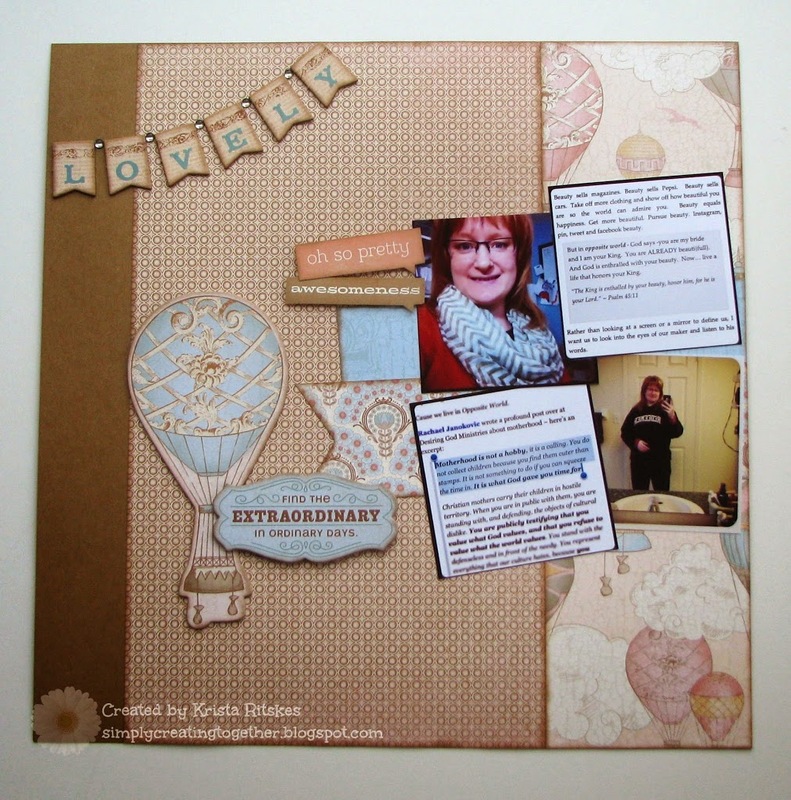 I also used a Sketch ‘n’ Scrap sketch again this month, but changed it to a 2-page layout. 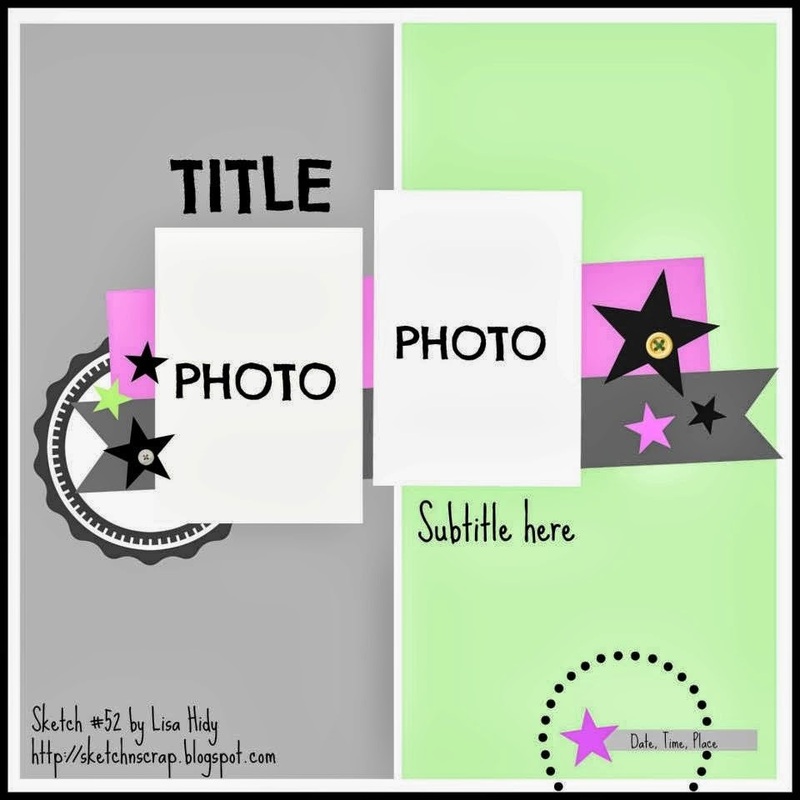 I started with some Instagram photos I had and had fun creating a layout that will encourage me. (The text photos are excerpts from a blog I follow called Women Living Well.) 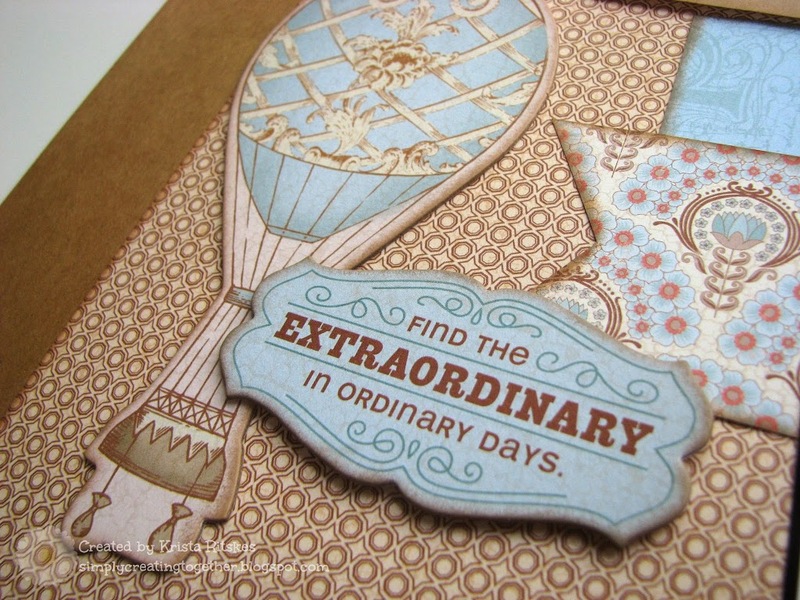 I used Balloon Ride paper and Complements because it has muted shades of the colours in my photos, and I loved the wording on the complements, too. Here are a few close ups. And here are photos of the balloons I used. I sponged them with Saddle ink, like I did on every other piece, including the complements. 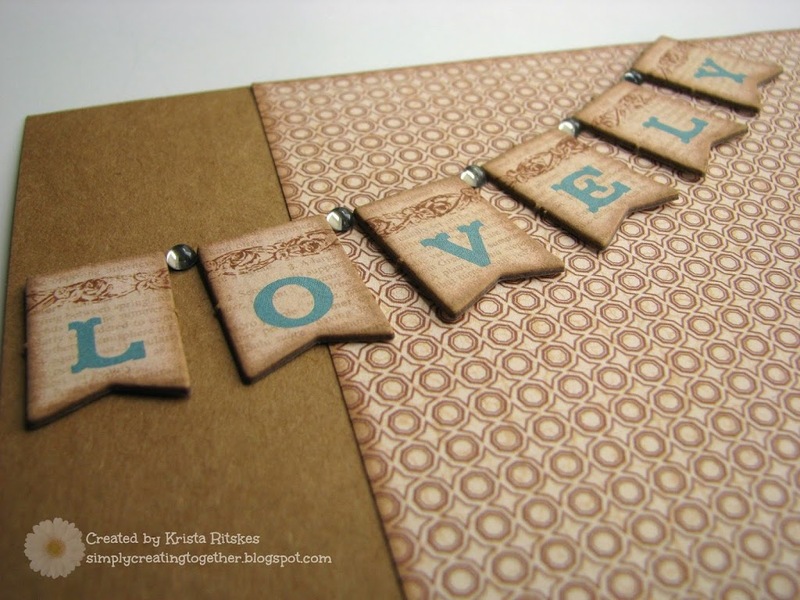 And I couldn’t finish without showing you a couple close ups of those fabulous chipboard Complements. They’re just “lovely”. Those are grey epoxy bubbles in between my banner pieces. 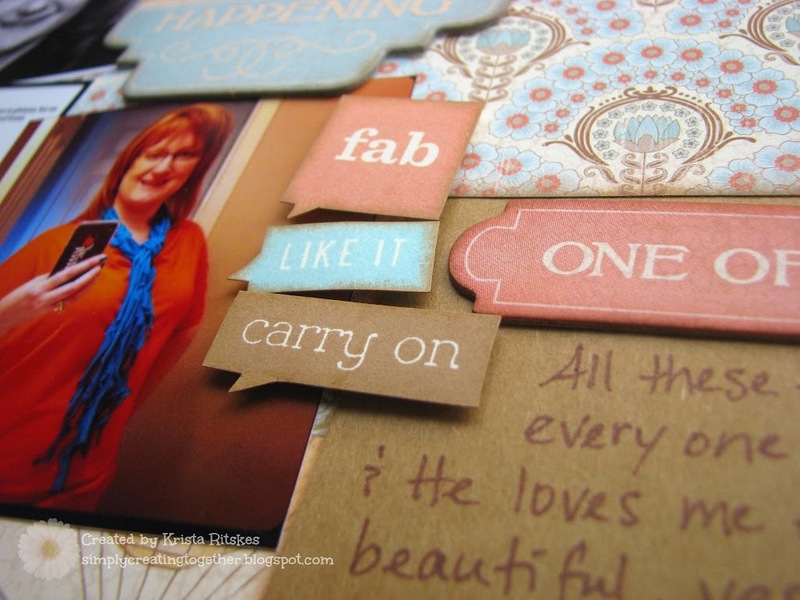 Now, it’s time to hop on over to Dawn’s blog and check out what she’s created. 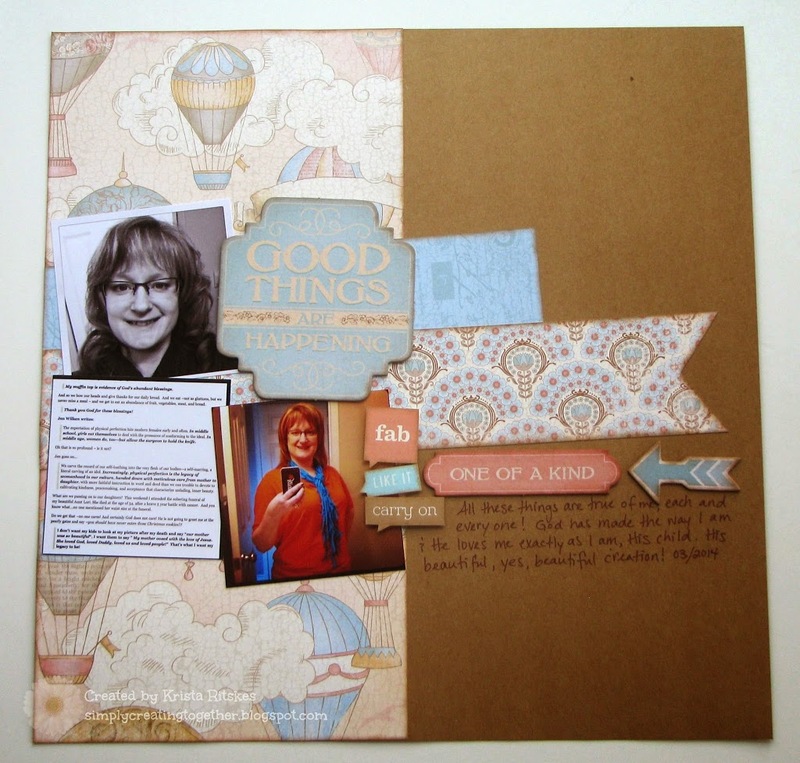 Can I challenge you to scrapbook yourself? Get thinking about how to give yourself a boost in your artwork. Remember that this stamp set is only available for the month of April. Talk to your consultant about how you can get your hands on one. This is so beautiful, love how you changed it to a 2 pager and I love the banners! Thanks for joining us at Sketch N Scrap! This is just amazing work. 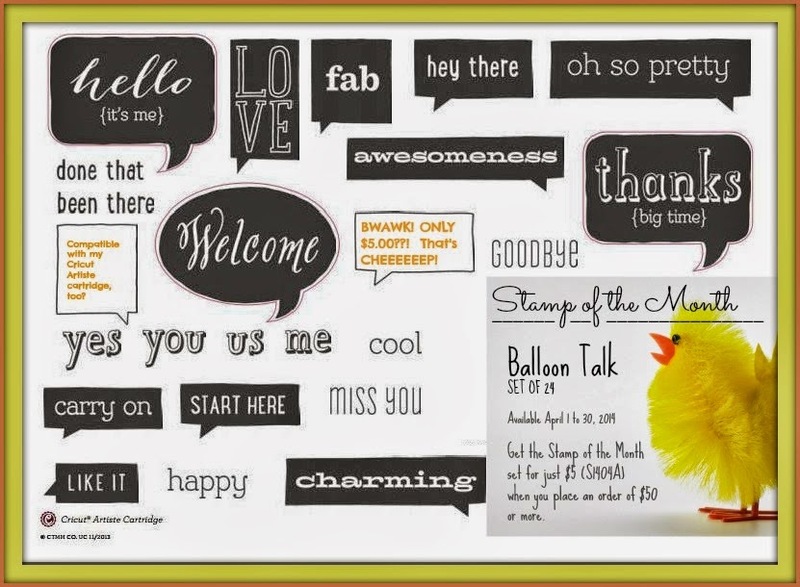 Love the layout, and the balloon talk word bubbles work perfectly! Such a beautiful layout! I love seeing layouts with just yourself in the photos. They’re a rare gem! What a lovely layout! Great use of the word balloons too! Love your layout! The balloons work great with your layout.